We are recognized as one of the leading manufacturers, exporters and suppliers of superior quality range of Soccer Balls which comes with four lining, the offered soccer balls are available in numerous thickness & sizes accordingly to the needs of customers. 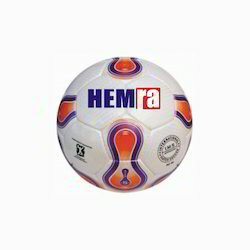 These soccer balls are manufactured of finest grade rubber which ensures its superior quality. Owing to the expertise of our team of experienced professionals, we are able to introduce an exclusive range of Inflatable Soccer Balls. These balls are manufactured using Korean PU synthetic leather materials. Quality-centric fabrication being our main concern; our team ensures that the clients find perfect balls for an accurate shots. Four layering techniques are applied to offer a robust thickness to the balls. In addition, we follow the internationally designated standards and smart techniques to develop well balanced and perfect balls for the players. Besides this, clients can avail the balls from us at industry leading prices. 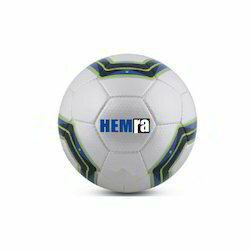 Since our inception, our firm is affianced to introduce a premium quality array of Carbonium Underglass Soccer Ball. This ball is manufactured utilizing Korean PU synthetic leather. Applying such material during fabrication of the offered ball helps in providing a protective layer against alkaline, lead and various other chemical elements present in air and on ground. In soccer, such quality fabrication has been always appreciated as it supports hard play for long hours. The offered ball can be made available at industry leading prices to the clients. As a trust worthy organization of this domain, we are committed to offer our clients a superior quality assortment of Synthetic PVC Soccer Ball. This ball is fabricated using PVC materials and innovative techniques. Using PVC material and modern techniques have helped in developing ball that always delivered lightweight playing experience to the players. To ensure that, we process the ball using quality bladder, industry approved materials and prints. Also, the offered ball is made available at reasonable prices to the clients. 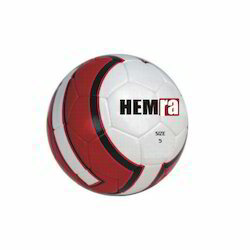 As an affluent name of this domain, we hold expertise in presenting high quality Red and White Soccer Ball. The offered ball is created using carbonium underglass synthetic PVC materials and by applying latest technology. At our production unit, the professionals hand stitched the ball using optimum grade materials along with adhering to sports industry standards. Furthermore, quality controllers from our team opt for strict quality inspection made on the ball to ensure flawless deliveries. Apart from this, clients can get the ball from us at cost effective rates. Leveraging on our in-house production unit, we are presenting a wide assortment of Soccer Ball. The ball is manufactured carbonium underglass synthetic PVC and applying latest techniques. The latest technique is the 2 polyester and 2 cotton lining used making the ball having four layers of thickness. Thickness of the ball is 1.20mn, which makes the ball lightweight as well as robust to sustain hard playing pressures. Besides, clients can get the ball purchase from us at industry leading rates. 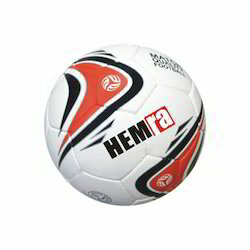 Owing to our expertise in this field, our firm is engaged in supplying an extensive array of Soccer Ball. 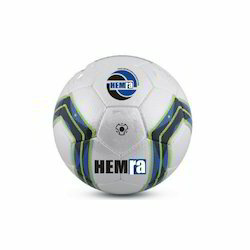 We are successfully ranked amongst the trustworthy entities offering a wide range of Soccer Ball. 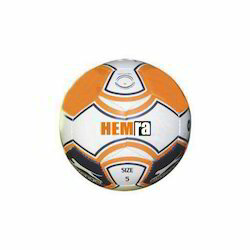 This ball is manufactured using Korean PU synthetic leather having four layers of polyester composite lining. The offered ball includes bladder weighing 80-85 grams built using latex material with butyl valve system. The whole ball weighs 440 grams, which is industry approved mass for a perfect, well-shaped and 5-size ball. In addition, this ball has been hand stitched by our professionals that add durability to the ball. Furthermore, the printed impressions last long with ball. With the assistance of our deft team of professionals, we are able to introduce a broad array of Mini Soccer Ball. 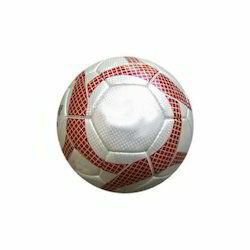 The ball is manufactured using shiny synthetic PVC materials and latest techniques. This ball has bladder that size in-between 65-70 grams equipped with Latex bladder with butyl valve. Furthermore, quality controllers from our team opt for strict quality inspection made on the ball to ensure flawless deliveries. Apart from this, clients can get the ball from us at cost effective rates. Since our inception, we are engaged in presenting a wide range of excellent quality PVC Soccer Ball. This ball helps in providing a smooth, cushion, vibrant surface to the while playing. In order to make the color appealing, it is processed by using quality-approved chemical materials and compounds prescribed under industry standards. Bacterial free exposure and high durability are featured on the product. Apart from this, the offered color can be availed from us in various safe packaging options at nominal rates. 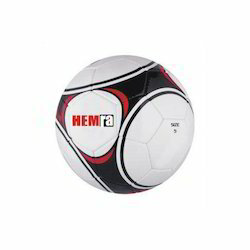 As one of the leading entity of this domain, we are engrossed in providing supreme quality Shiny Synthetic Soccer Ball. 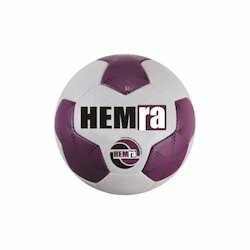 The offered ball is manufactured using shiny synthetic PVC materials and providing 1.20mn thickness. There are two layers of 1 polyester 1 cotton lining covered under 65-70 grams Latex Bladder with Butyl Valve. In soccer, such quality fabrication has been always appreciated as it supports hard play for long hours. The offered ball can be made available at industry leading prices to the clients. Within the short time period, we are engaged in presenting an excellent grade of PU Soccer Ball. The offered ball is made available in white, black, red, navy, yellow, and green color. 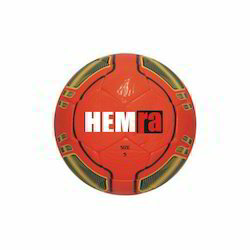 This ball weighs 280-300 grams, which is a perfect heaviness to shoot goals. 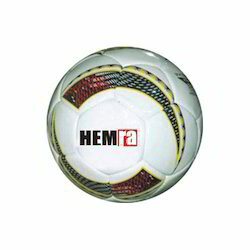 Moreover, the ball is manufactured using PU materials and applying latest techniques. Besides this, the printing applied on the ball is durable and delivers a long time design impression. Owing to the expertise of our team of experienced professionals, we are able to introduce an exclusive range of Football. These balls are manufactured using Korean PU synthetic leather materials. Quality-centric fabrication being our main concern; our team ensures that the clients find perfect balls for an accurate shots. Four layering techniques are applied to offer a robust thickness to the balls. In addition, we follow the internationally designated standards and smart techniques to develop well balanced and perfect balls for the players. Besides this, clients can avail the balls from us at industry leading prices. Owing to the expertise of our team of experienced professionals, we are able to introduce an exclusive range of Inflatable Foot Balls. These balls are manufactured using Korean PU synthetic leather materials. Quality - centric fabrication being our main concern; our team ensures that the clients find perfect balls for an accurate shots. Four layering techniques are applied to offer a robust thickness to the balls. In addition, we follow the internationally designated standards and smart techniques to develop well balanced and perfect balls for the players. Besides this, clients can avail the balls from us at industry leading prices. 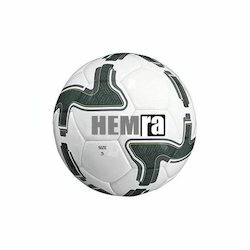 Looking for Inflatable Soccer Balls ?